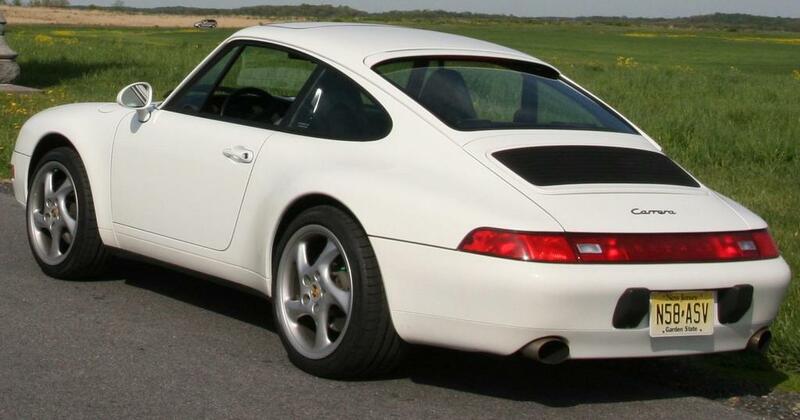 I'm selling my 1996 993 C2 to fund the purchase of another 911. It has 37,808 miles, is Grand Prix White, two tone Grey/Black interior with hard back sports seats. Original equipment has M030 sport suspension with LSD. The car is very clean with original paint in great condition but with a couple of small chips one on hood the other on rear right fender. It's a very clean car. I'll be adding more information over the weekend along with additional photos depending on if it snows here this weekend. Hard to believe I'm typing that last bit in October. Thank you for having a look and of course I'm happy to answer any and all questions to those interested in purchase. There is something special about white 993s. GLWS. Very desireable low mileage example. GLWS!! Last edited by 95 NC 993; 10-28-2011 at 07:46 PM. I really wish I'd seen yours before I bought mine....White>>Red. GLWS! Thanks for the comments. I've spoken with a previous owner who's advised FD Motorsports had looked after this car and since my purchase I've had Gene at Autohaus in Chatham taking care of it. I should have also noted the car has a Stage II exhaust. I'm open to offers. Your $37,500 is right in line with Kelley Blue Book www.kbb.com for your low mileage example in 'good' condition (my zip code actually indicates $38,000+). That will help sell it if buyers are looking for a pricing guide comparison, even if some guides are lower. Something in your favor is a good thing. I think you will get some calls at this price. Again, GLWS! Yes I agree and thanks for that. My original price point was perhaps jet lagged enthusiasm. I'm happy to discuss reasonable offers. More photos shortly. The storm and continuing power outage has slowed things a bit.